A class great for any level of yoga where movement is synchronized to the breath. This style is sometimes also called flow yoga, because of the smooth way that the poses run together and become a dance. A slower paced yoga class with more stretching poses and meditation at the end. Good for beginners and those who want to focus on the yoga poses. 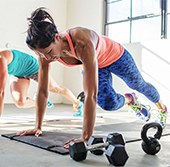 This class is based on the Tabata training principles used to blast calories! Each exercise is divided into 4 minute segments to torch the maximum amount of calories! Think 4 minutes sounds easy? Give this class a try! 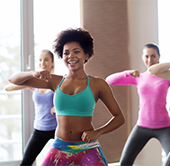 Zumba fuses hypnotic Latin rhythms and easy to follow moves to create a dynamic fitness program that will blow you away. Join the fun! A fun fast paced circuit class that utilizes lightweight dumbbells for exercises in 4 minute increments. Upbeat dancing class done to the beat of music with super lightweight dumbbells. A high intensity, cardio based class that burns calories through various bodyweight and resistance based exercise circuits. A high energy class using both aerobic step boxes and light weight dumbbells for a good seat and muscle burn. 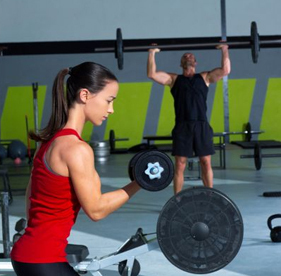 At Fox Valley Fitness we are always open to hearing how we may better service our members, participants and community. We welcome you to contact us at any time. © 2015 Fox Valley Fitness.